Wow, unpopular opinion much. I know there is much love around this series and I’m sorry, but my opinion seems to be the complete opposite of what everyone else thinks. Oops. Oh my god. 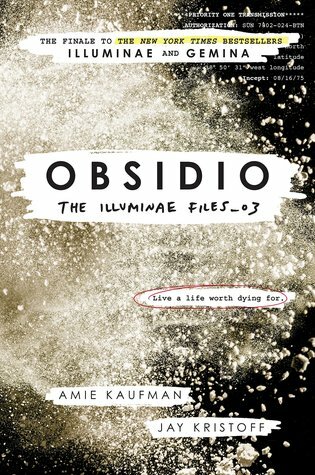 I didn’t think it could get any worse, but reading my review of Gemina, I think I actually liked this one even less. The bottom line is, I was just even more confused because there are way too many characters in these books! Let’s just have a quick throwback to me a couple of years ago when Illuminae came out. I was where everyone else was, fangirling over this new book with a completely new style of reading. I honestly think it was just so refreshing to read something so different, but since then, both books that followed just seem like retellings of the same world. I can’t help but feel that success, rather than love made the authors release the other two. And another thing I hate about not only having so many characters, but also the camera surveillance way this story is told? I felt so damn detached. Yeah, this book is emotional and yeah, I loved the poetic parts. But I still don’t give a damn what happened. Sorry for my cold heart and black soul. But that’s where the good stuff ends, and other than that, I was so disappointed. I wanted it to all end so I could read better things. I’m glad I managed to finish this series, but that’s about it. Well don’t let the fact that I disliked this one put you off – it’s such an unpopular opinion after all!